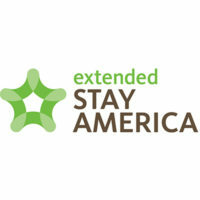 Extended Stay America is a privately held hotel chain. It has more than 69,000 guest rooms across North America, averaging 3.5 million check-ins a year. Its corporate headquarters is in Charlotte, North Carolina. The company was founded by Wayne Huizenga and George Johnson Jr. on January 9, 1995. Its first two hotels opened in Marietta, Georgia and Spartanburg, South Carolina in August 1995. It currently employs roughly 9,000 associates and owns more than 600 hotels throughout the United States and Canada. Extended Stay America is also the developer of Crossland Economy Studios. Employees have access to many health benefits, including medical, vision, dental and prescription med plans. Regular employees may have paid time-off, sick pay, vacation time and holiday pay. ESA is a pioneer company of the hospitality industry. All its associates enjoy professional growth opportunities while having the ability to work flexible, hourly roles. How old do you have to be to work at Extended Stay America? Candidates must be at least 18 years old to apply for available positions. Whether or not you have work experience, Extended Stay America invites you to explore their available career opportunities. Housekeeper: The housekeeping staff ensures the highest standard of cleanliness for all Extended Stay America rooms. Each member must show courtesy and hospitality to all visitors and lodgers. Guest Services Representative: Guest services reps process registrations, reservations, departures and payments. Must attend to guest requests, offer assistance, handle collection issues and ensure client satisfaction. Maintenance Technician: Keeps property equipment well-maintained and functioning, sustains property premises and preserves guest units. A maintenance tech performs both preventative and scheduled maintenance and inspections. Night Guest Laundry Attendant: Must be willing to work graveyard shifts, typically starting from 11:00 pm to 7:00 am. A laundry attendant guarantees high level of hotel cleanliness and guest satisfaction. Extended Stay America also provides corporate career options in Sales Marketing, IT, Finance and Human Resources. Candidates may apply for managerial positions, provided they meet the qualifications. Job seekers may apply for available positions through the company’s online job portal. Interested applicants must first fill the online form to create a user account. The ‘Careers’ page features clear-cut search and filter options to help candidates find available positions at certain areas. Applicants simply need to input their desired position, current location and other relevant details. When filling the application form, be sure to include genuine information only. Avoid adding in any particulars not related to the job you’re applying for. Tailor your resume and cover letter to the position you’re seeking. As much as possible, focus only on experiences related to the job. This will make your resume more appealing to potential employers. Typically, applicants hear back from the company within 1 or 2 weeks upon initial submission. You may log in to the online portal any time to check the status of your application. You may also email, call or visit the office. The culture in Extended Stay America offers an array of opportunities for individuals with various professional skills, experience and interests. The company values employees as much as they value their clients. Last September 15, ESA Chief Executive Officer Gerry Lopez participated in the 2016 Bank of America (BOM) Merrill Lynch Gaming & Lodging conference in New York, NY. His remarks were shown on a live webcast. As one of the most preferred partners of choice for business travels and vacation, ESA continues to expand their reach, improve their amenities, and enrich the environment in all their sites. The company has a unique blog called “Road Warrior Tips.” It includes information about the latest trends in food, music, air travel and events, as well news about various cities and destinations.